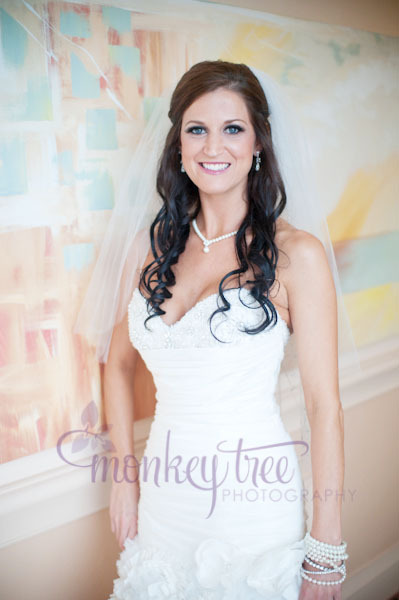 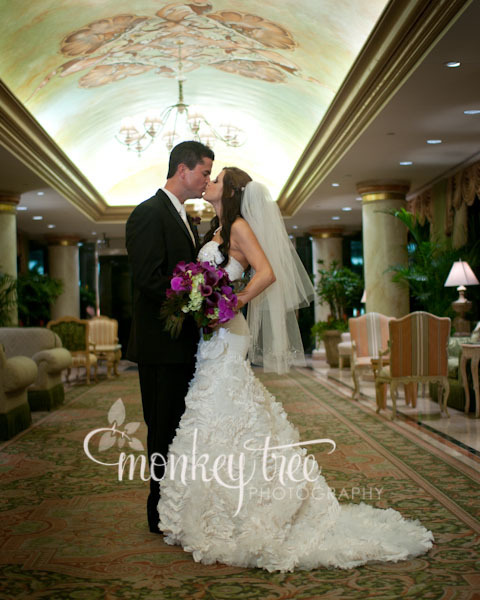 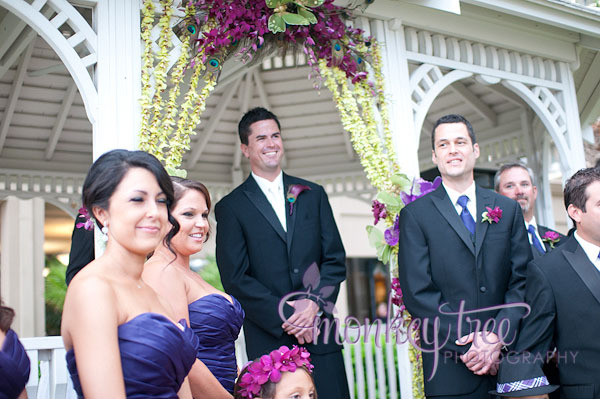 Courtney and Andy were married in a beautiful outdoor ceremony at sunset on the lawn of Galveston's San Luis Resort. 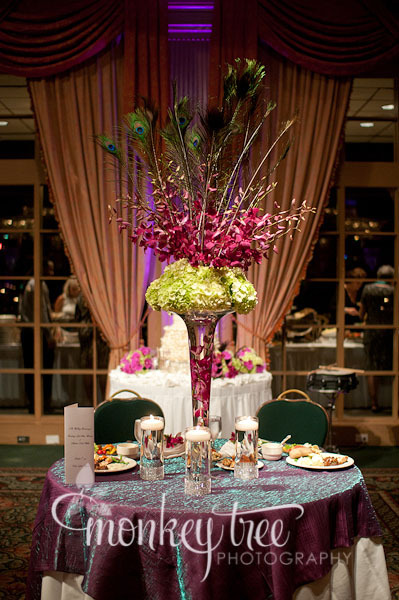 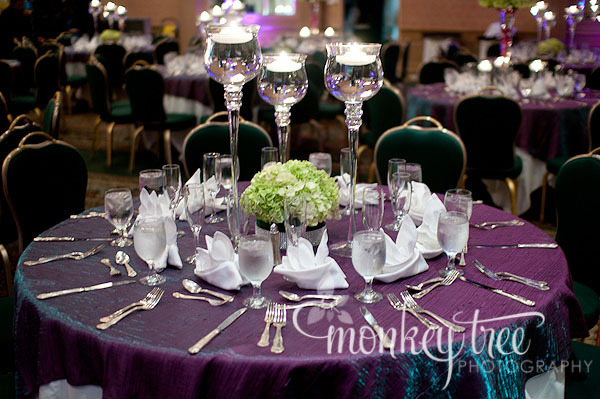 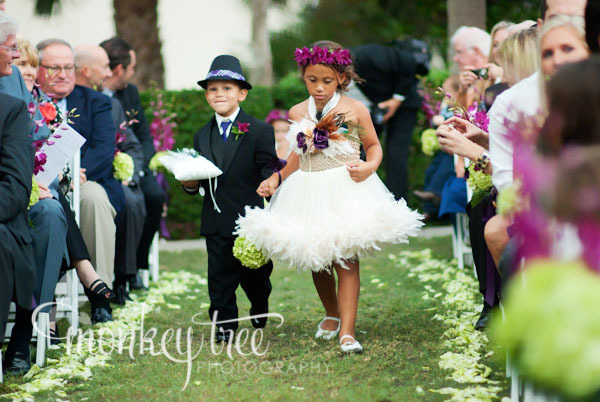 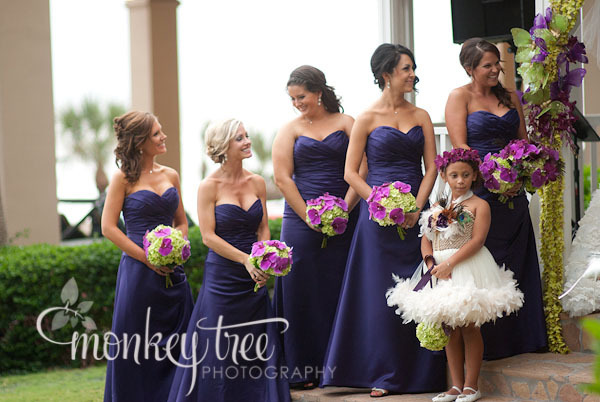 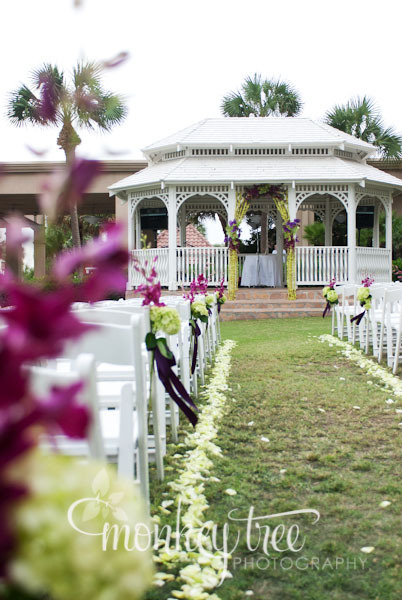 Bright green and purple florals filled the scene! 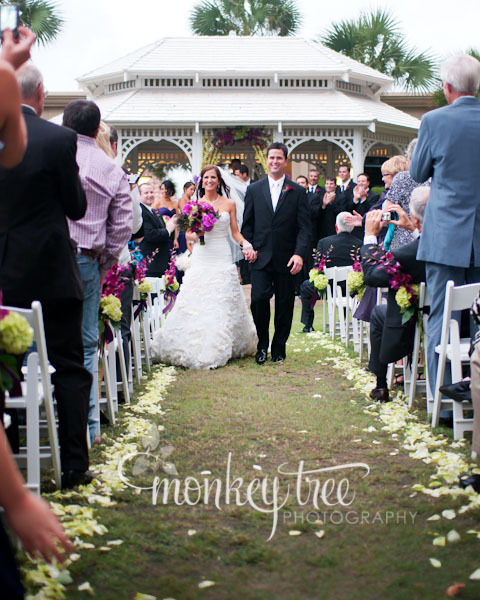 Courtney looked absolutely incredible coming down the aisle. 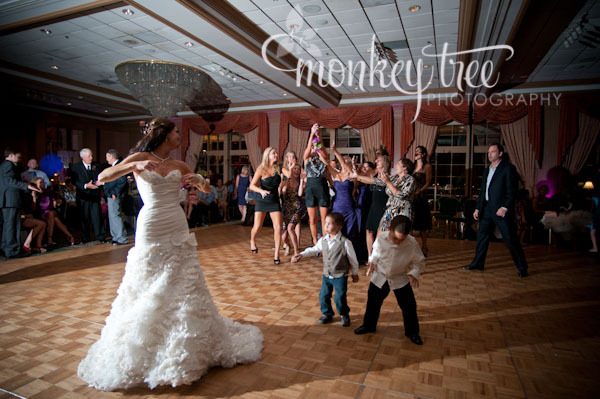 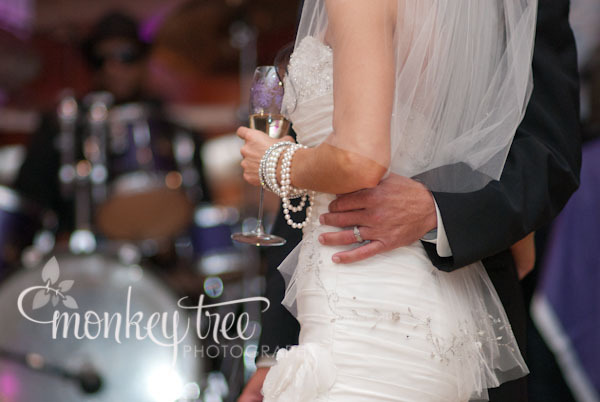 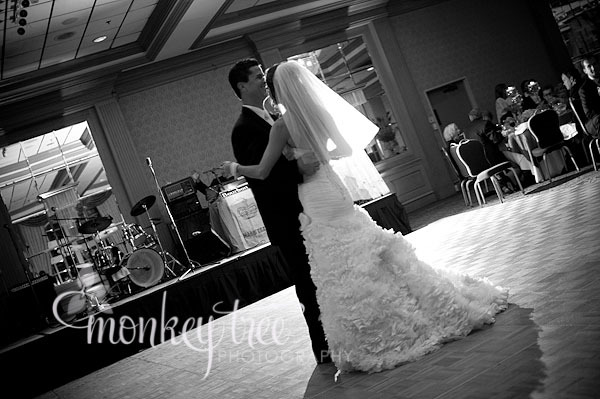 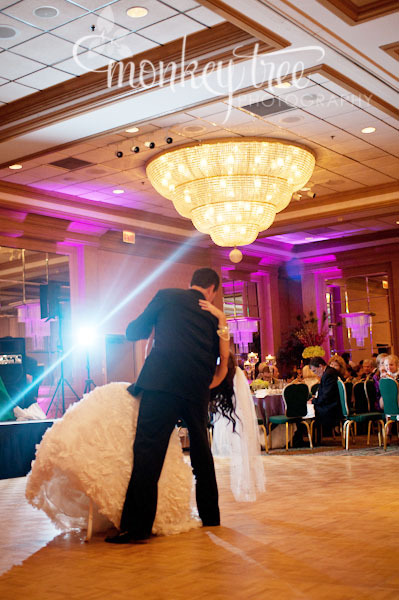 Once the Mr. & Mrs. were official, guests headed into the ballroom for a night of dancing and fun. 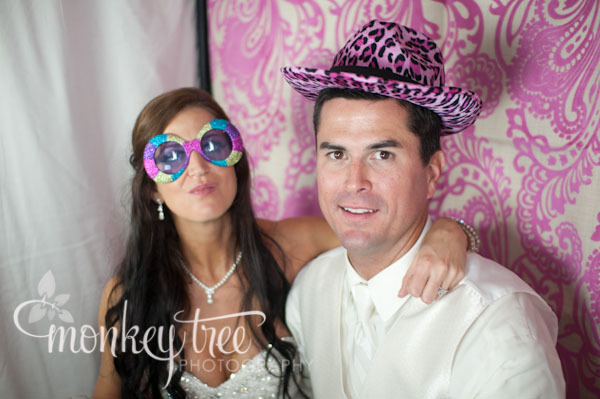 Funky Monkey Photobooth was on hand to provide guest favors, and Eventology Weddings was there to assure that the event ran smoothly. 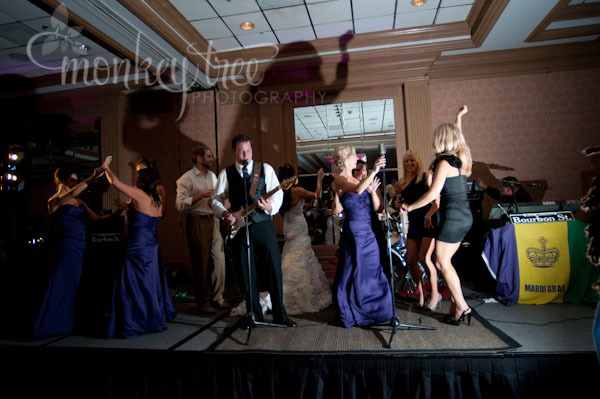 Toward the end of the night, the groom and groomsmen headed up to the stage to play for the audience... which they evidently do regularly around Houston as the Knights of Larkin. 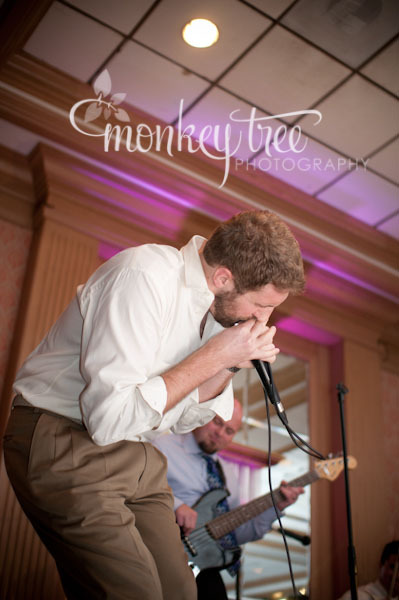 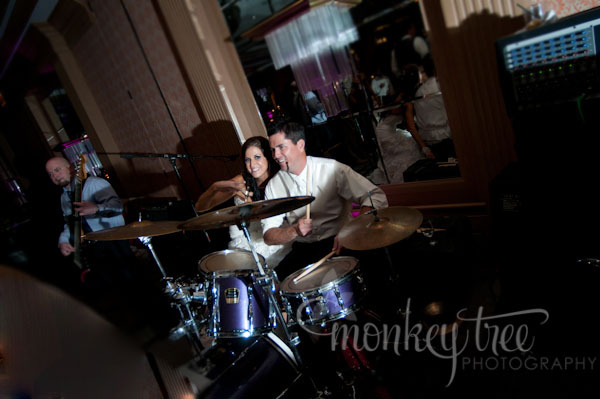 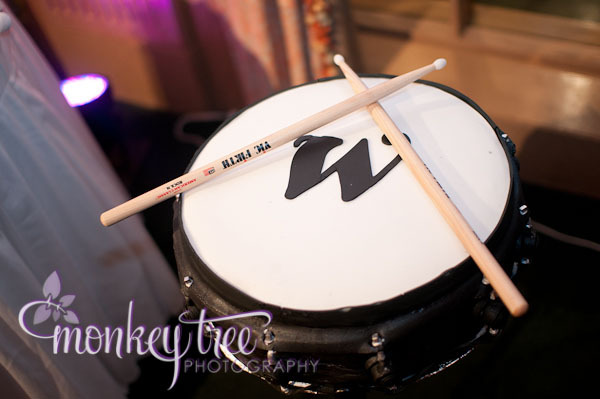 We LOVED them : ) Check out the groom's cake-- it's a DRUM. 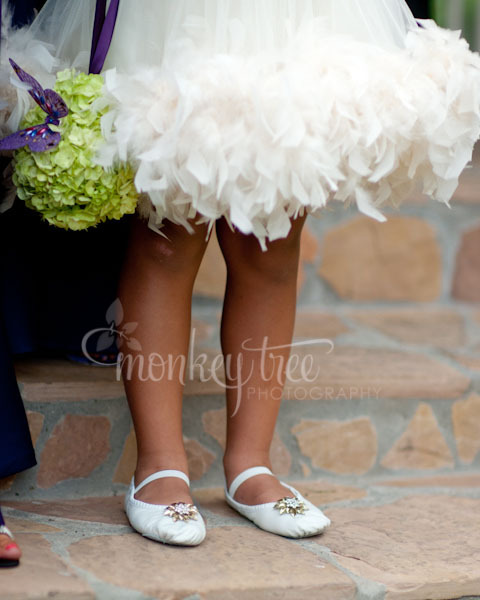 One of the kids standing by during the cake cutting picked up the drumsticks to play on it-- it looked SO real. 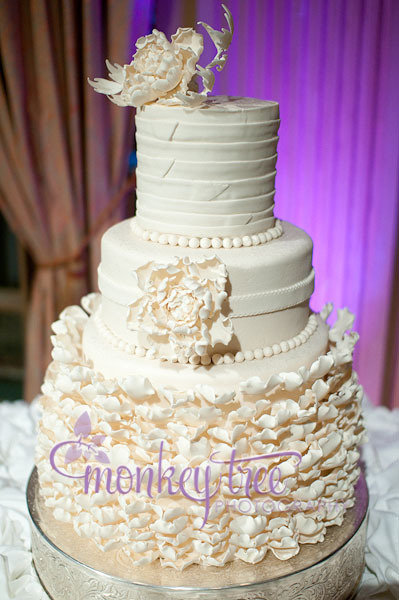 Notice how the wedding cake mocks the patterns and embellishment on Courtney's gown.